Rhapsody (of Fire) undisputedly had been one of the pioneers in the ultimate cinematic scope of power metal, bringing a couple of bombastic heavyweights into the metal world that would earn them equal ridicule and reverence. 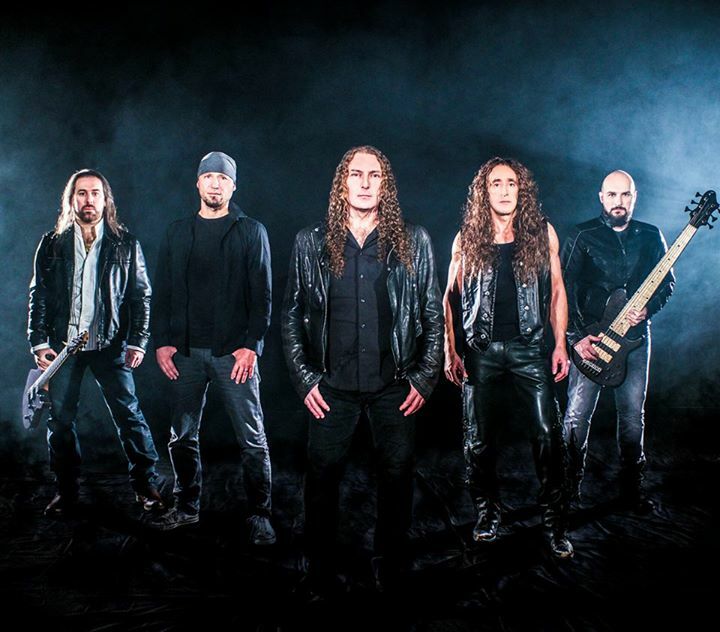 Since the amicable split of mainmen Luca Turilli and Alex Staropoli the quality of the two new Rhapsody incarnations began to come under scrutiny, with Turilli’s portion faring somewhat better in the critics’ point of view than Staropoli’s. 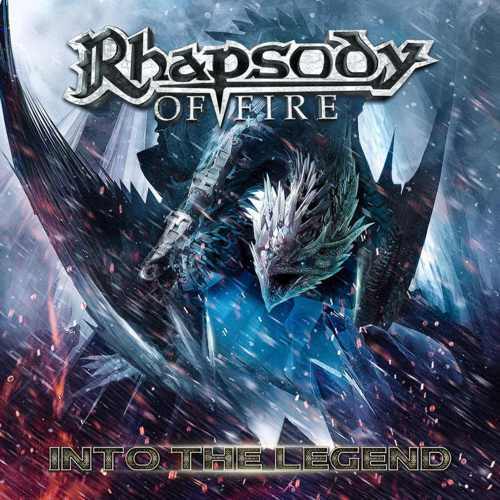 Into the Legend is Rhapsody of Fire (post-Turilli)’s second effort and it is to Luca Turilli’s Rhapsody’s sophomore album Prometheus, Symphonia Ignis Divinus what Ascending to Infinity had been to Dark Wings of Steel the first time around. All rolled into one each, both efforts could have been a magnificent flourish of the non-plus-ultra of bombastic power metal, but instead separately both suffer from a piece missing each. What had made Rhapsody so enjoyable and well-rounded prior to 2011 was the way Turilli and Staropoli managed to bounce off each other with their song writing, with the former’s neoclassical flamboyance being tempered by the latter’s stronger power metal foundation, a yin yang that fell apart after the split. While Turilli’s portion had all the shredding neoclassical glory and Staropoli’s the metallic grounding, each were missing the other half and Into the Legend, the band’s eleventh album, unfortunately is no different. It has (almost) all the trademarks a Rhapsody album would be expected to have (first and foremost Fabio Lione’s voice), but while it reaches high, it doesn’t seem to quite reach. That being said, it does mark a progress compared to their previous effort, since it is more gripping and engaging, even though it does have its flaws. Opener “Distant Sky” has everything fans have come to expect from Rhapsody of Fire, high speeds, keyboard/guitar duels, Lione’s soaring vocals, choirs, so while the whole thing may not be as unapologetically bombastic as the band’s early works, it is a worthy opening track that leads into the title track, which shows Lione with some more aggressive vocals, which only partially work, the bridge and sweeping chorus, though, have some nice dynamics that really push the song forward. It is always somewhat dangerous, when a band deviates from its usual path and tries something a little different, but “Winter’s Rain” is probably one of the most interesting and intense songs the Italians have penned in years, much due to its brooding atmosphere and cinematic approach (not in the same way as their “Hollywood metal” days) that just add a lot more substance to the song. Where “Valley of Shadows” runs the whole gamut of ROF, including some added soprano for good measure, “Shining Star” is a very slow, epic ballad with lots of choir, while the swift and bombastic “Rage of Darkness” reminds a lot more of the older Rhapsody of Fire without sounding forced. Not all the tracks can keep this up, though, “Realms of Light” is good, but lacks highlights or dynamics, something that at least parts of other songs suffer from as well, and plagues the epic closer “The Kiss of Life” on and off, once more proving that these ultra long epics are not always as effortlessly to pull off as it often seems and in this case reveals several lengths where there is just not enough happening to really keep the listener engaged.. Despite these shadows, though, Into the Legend leaves the probably best impression of any of the post-division albums, with Prometheus, Symphonia Ignis Divinus bearing some similar traits, showing that it seemingly just took a while for the respective songwriters to get used to working without their long-standing partners. While still a somewhat far-ish cry from their almost legendary albums, Into the Legend is proof that there still is life in these Italians and that they still have a future ahead of them instead of just living off their past achievements. In its own way an early surprise of 2016. This entry was posted in Featured Review, Reviews and tagged 2016, 8, afm, featured, Hollywood, italy, Luca Turilli, Luca Turilli's Rhapsody, power metal, rhapsody, Rhapsody Of Fire, symphonic, trieste.